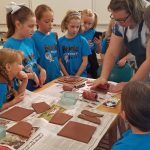 The Museum School at the Mobile Museum of Art is pleased to offer theme tours and art activities to students K-4 through college. 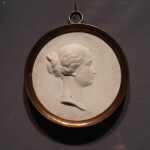 In recognizing the connection between academic success and an education in the arts, the education staff has designed a program that incorporates core curriculum-based principles with art-related activities to encourage museum use and appreciation. Please review the programs and activities in our School Tour Planner and take advantage of the unique resources available to you and your students. Contact Kim Wood at 251.208.5212, Monday through Friday, 8:30 a.m. to 5 p.m. or email kwood@cityofmobile.org to schedule your visit. Date and time of tour. Please prepare a second and third date choice. Your tour will be confirmed by mail. Please inform us of any changes to your scheduled visit as soon as possible. Girl and Boy Scout Tours Let the Mobile Museum of Art help Girl Scouts and Boy Scouts obtain their art badges. Working with knowledgeable docents and experienced art educators, Scouts can usually complete their requirements for a badge in one visit. 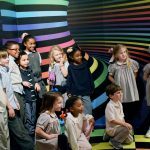 Field Trips at MMofA: The Museum School at Mobile Museum of Art accommodates field trips by offering themed tours and art activities to students in K-4 through college. KEEPSAKE A Creative Program for Adults with Alzheimer’s Disease With specially designed guided tours through our galleries, this program strives to add meaning to the lives of those living with early stage dementia and Alzheimer’s disease, and to support those who care for them through intellectual stimulation, creativity, and social interaction.